I'm Not Skinny: The inevitable Valentine 'buy these things' post. The inevitable Valentine 'buy these things' post. Hello there! Here at I'm not Skinny headquaters, also known as my living room, I've been pondering if I should do a Valentine post or not. I mean on one hand, I think the holiday is silly and on the other I know that many people love it. In the vein of assuming some of my darling readers (that's you!) probably love Valentine's day and I figured I could use the post to highlight my favorite vintage shop's inventory. So here goes! Buy me these things, Valentine! 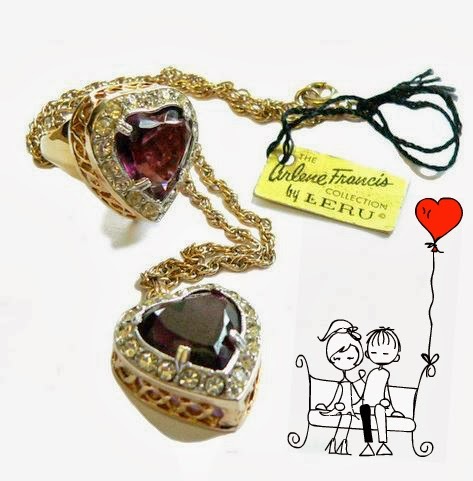 For starters look at this vintage Swarovski crystal reversible heart necklace. Probably the most perfect Valentine ever. It's got pizazz and it will certainly be a conversation starter. Coming in at a reasonable $65.00 I'd say...your valentine will love it. How about this really unique and lovely vintage lucite heart bracelet. Perfect for the beach loving, love of your life. At $44.00 the price is right. Charm bracelets are fantastic aren't they? There's something so great about, like the speak to possibilities. I know many people who add charms for each life event and end up with these gorgeous timelines of their lives right there on their wrists. 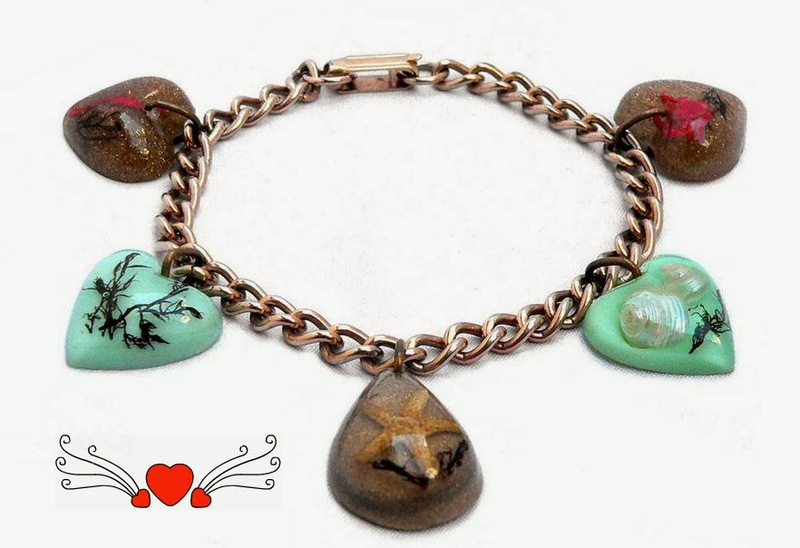 If you wanted to see a serious vintage charm bracelet click here. Maybe your loved one is a little more classic, don't fret! Sara over at Carousel Vintage can help out with that too! Take for instance this beautiful 1950's Arleine Francis Collection by LERU heart cocktail ring and necklace set. Did your heart just flutter? Mine did. This set is beautiful. Just look at those stones! Buy it for only $144.00 and cherish it forever. Your Valentine will that's for certain. Oh and if I'm your Valentine, you can get me these. 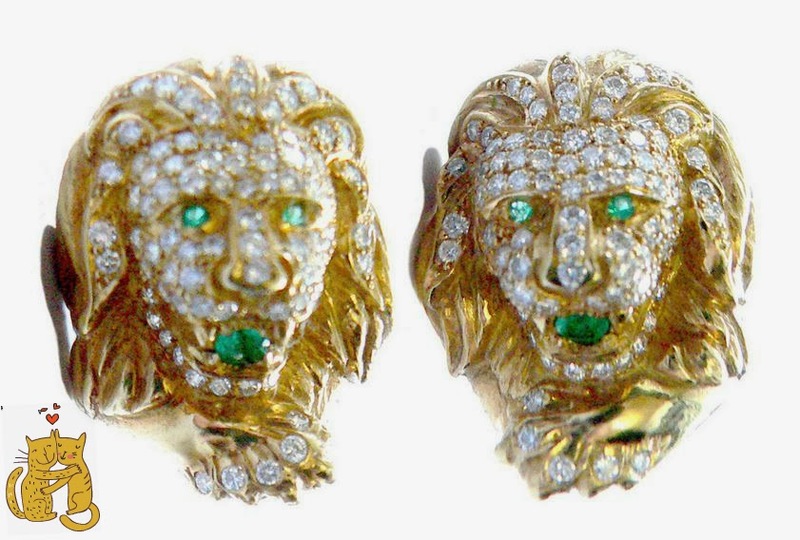 Gold, diamonds and lion earrings?! I don't know who they are, but I know they are old, they are lions and I should be their owner. I'm a little short on the $12,850.00 price tag, but if I had it...these would be mine! Talk about fierce. Where's this Beyonce girl at? She's got nothing on these beauties. Perhaps someone should email Jay-Z and tell him to add them to her collection? Everything is so cute and unique. Love the bracelets. These are some gorgeous pieces of jewelry. I really like the charm bracelet. I really like vintage jewelry. I like reversible heart necklace on here the best. Unfortunately I do not have an other to buy me a valentine gift! I have to be my own Valentine! I'm with you girl! If my cats could have a job I'd make them buy me things...sadly I have to buy em for myself! I'm loving the cocktail ring and necklace set.